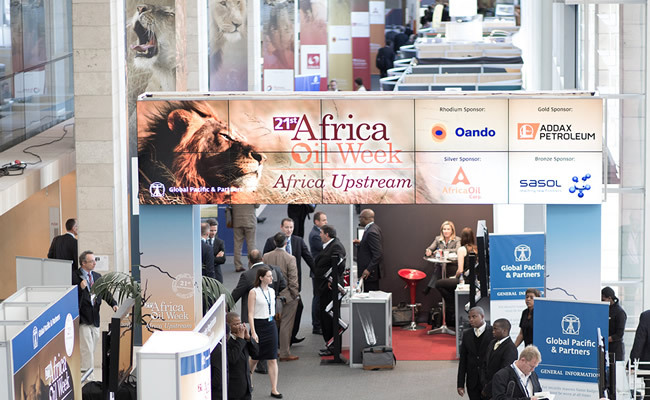 Stakeholders in the oil and gas industry in Africa are eagerly gearing up for the forthcoming 24th Africa Oil Week, which holds in Cape Town, South Africa, from 23-27 October. At the moment, organisers of leading international oil and gas event have announced highlights of the internationally renowned programme. The restrained business climate that has reigned over the industry for the past few years demanded that all operators review and adapt their business models and the way they operate. 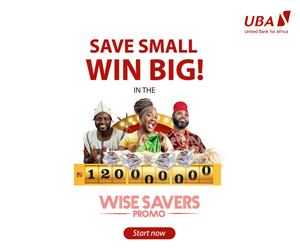 By the same token, the organisers of Africa Oil Week had to radically rethink the content for this year’s edition to meet the needs of delegates in search of solutions for tackling new challenges. The result is a programme strong on skills, solutions and strategies and infused with talks and debates of an ethical, political and motivational nature. In terms of African oil and gas ministers, participants will be able to engage directly with them on issues crucial to their investment plans and projects at the Ministerial Panel on African government strategies for “Attracting Operators and Investment”. It includes presentations covering fiscal reforms and investment opportunities from the oil and gas ministers of Egypt, Angola, Equatorial Guinea, Ivory Coast, Republic of Congo and Namibia. South African Minister of Energy, Mmamoloko Kubayi, will open proceedings on Tuesday 24th October with a talk on the right energy mix for meeting environmental and development goals. The Côte d’Ivoire Roadshow, presided over by Minister Thierry Tanoh, will promote the country’s hydrocarbons code and introduce its energy strategy 2020 along with available blocks coming up for licensing, thereby providing further opportunities for showcasing its investment environment as well as its petroleum code and legal and fiscal framework. Mali, ranked one of the most dynamic countries in the region by the World Bank’s “Doing Business” report and winner of the AIM “Investment Award” for its incentive-strengthening reforms, is promoting its five oil-rich basins. Mr Hamed Ag Mohamed, Director-General of the Authority for the Promotion of Oil Research, will present the investment framework and its Public-Private Partnership policy. A not-to-be-missed event is the debate “Phasing Out Fossil Fuels: The Moral Case”. Alex Epstein, Founder and President of the Center for Industrial Progress and author of the New York Times bestseller, “The Moral Case for Fossil Fuels” will pitch his pro-fossil fuels argument against that of renewable energy development and investment pioneer Charlotte Aubin-Kalaidjian, co-Founder and CEO of GreenWish Partners. Later in the day, Mr Epstein is the guest speaker at the invitation-only VIP & CEO Luncheon, to be held in the Exhibition Ballroom. Contributing to the cutting edge content is the AAPG Science Seminar, comprising three half-day forums focusing on energising the growing world through knowledge and technology. This is especially important considering that the new wave of exploration is spearheaded by digital technology which, in turn, paves the way for new careers. This digital aspect of the industry is of special interest to the students and graduates attending the Young Professional Roundtable discussions, during which they will be looking at the capabilities and skills that will secure their future in a constrained job market. With the evolution of the industry requiring operators and stakeholders to be more resourceful and inventive, Africa Oil Week is bringing out some big guns in terms of analysis, inspiration and motivation. Daniel Silke, South African futurist and leading political economy analyst, kicks off the third day of the conference with a keynote on Africa’s resilience. Mr Silke is renowned for his insights into issues surrounding global change, volatility and the future of the world. Then there’s Gilan Gork, renowned mentalist and master of influence. As a guest speaker at the SA Rugby Museum Cocktail Reception, Gilan will challenge delegates thinking while intelligently entertaining and motivating them. Along with these exciting and innovative additions to this year’s Africa Oil Week programme, each session now includes an interactive Q&A, during which delegates can engage on a wide range of issues. In addition, there is an official Africa Oil Week App for IOS & Android devices to give delegates up-to-date information about the event, speakers, programme, networking sessions and venues and enabling them to post questions, participate in polls and contact other delegates. Delegates who register by 30th September qualify for the £300 Early Bird Discount while companies registering three or more delegates benefit from an additional 10% discount. All registration fees include access to the 17th Africa Independents Forum and the 24th Africa Upstream Conference and Exhibition but exclude the 80th PetroAfricanus Dinner and 9th Global Women Petroleum & Energy Club Luncheon, which must be booked separately. Companies registering three or more delegates benefit from an additional 10% discount.